Hello good and beautiful people, I'm Joe. 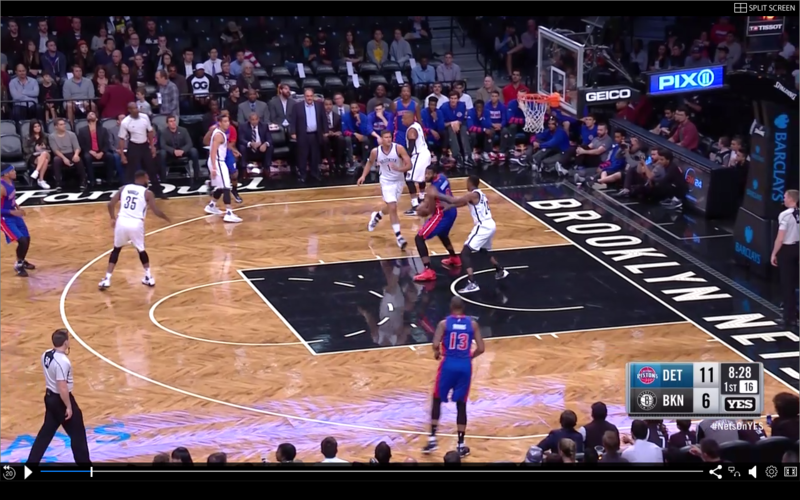 I do tons of posts in the Pistons sub including pregame and postgame posts. How you doin? I'm not kidding about this being long. Bring some snacks. In case you missed it, this post gained a bunch of traction. And it asked, "Is Andre Drummond really elite?" Had OP not acted like such a jerk in the comments I would have just responded there, but alas, a jerk he was. I've been meaning to make a post on Andre but wanted to make sure I spent enough time on it to give him justice. But the previously mentioned post combined with Thanksgiving break to make me believe it was time to act. I won't sit by while people upvote a guy who is telling them that Andre needs Reggie Jackson and KCP to create offense for him, or that Andre is a bad defender. FULL DISCLAIMER: This is not really just calling out the one guy from the one post. Contrary to his claims, the Pistons sub has more than enough people who are down on Drummond, I get them on my posts regularly and we have civil discussions about it and no one is downvoted into oblivion, people are downvoted into oblivion because they are pricks about it. Often when a discussion is had about Andre on my posts, I end up saying "agree to disagree" because it is not worth it to put in all this work for one comment. So all people's who I have agreed to disagree with on Andre, this is my full explanation. ARGUMENT #1: His only elite skill is rebounding. Essentially, Andre is not just "A good" rebounder, or just "an elite" rebounder. He is a historically great rebounder. To say "Andre's only elite skill is rebounding" is like saying "Steph Curry's only elite skill is shooting 3s" (although he is a excellent finisher at this point in his career so the comp is not perfect of course) it is a total cop out. Steph may not be a great defender and his passes may be prone to turnovers, but he is so much better that there are like 2 guys in the NBA who are even in his universe. The difference between Andre rebounding and other guys is absurdly large. Here is the other thing, his rebounding is huge to the Pistons as they are made up. The most obvious place is to just look at their roster. The Pistons start Marcus Morris and Tobias Harris at their forward spots, both of them are fine rebounders as small forwards, and poor rebounders for power forwards and are usually quite undersized as 4s. (Tobias is usually technically the 4, but they are fairly interchangeable.) Throw in that none of the Pistons guards are much for rebounders either, and it would make a big issue for most teams. But because of Andre, the Pistons can neglect rebounding in the other positions, and start Mobias (as we affectionately call them) which is one of the more offensively talented forward combos in the NBA. (The awesomeness of Mobias is a topic of it's own. Just know that it is an awesome combo) The simple reality is that, other than Jon Leuer, the Pistons don't have a single good rebounder in the rotation other than Andre (and even Leuer isn't anything awesome.) and instead can have skilled and versatile guys. He's learning to pass. He usually has no need to pass because when he does catch the ball in the pick and roll it is almost always the best option for him to just try and dunk it. Because duh. In the post, he has not caused people to really double team him very often, as such there is often not much reason for him to pass. (Obviously not drawing double teams is an issue. I'll touch on that later) When he is given opportunities to throw passes, Andre throws great ones. Hell, Drummond even made Zach Lowe's 10 things with "Andre Drummond: Making productive passes." this past year. (unfortunately it appears the gifs he uses to illustrate the point appear to have been lost from the post. But still, it isn't just some jackass on reddit who see's Andre throwing good passes) Andre is not a Gasol, but to say Andre is the worst passer in the NBA is totally false. 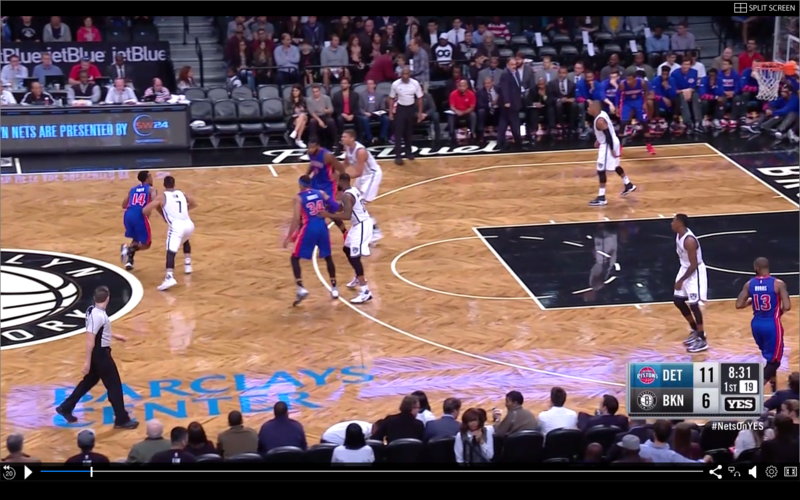 The worst passer in the NBA could not make a laser that is right on target cross court pass. He couldn't take a guy off the dribble, draw a double team, and hit a bounce pass to the corner. He wouldn't have an action run for him to draw a extra defender and hit a open shooter without even needing to hardly look. And this was all from one game this preseason where the Nets were sending extra guys at him. Not that Andre is a great passer now, there is a difference between being able to throw great passes and being a great passer. Andre gets tunnel vision pretty badly sometimes, essentially deciding at a certain point "I am going to shoot this no matter what" instead of making a move to score while still keeping his eyes open for shooters. But this guy can pass when he keeps his head up and has places to pass it to. I currently have my official opinion being that either this year or next, late in the year people will start to go "Holy hell Andre Drummond can pass." because I believe in his progression under a great coach. Yeah, they have not been good so far this year. He started off pretty well, but has fallen off of a cliff, especially the last 3 or 4 games. 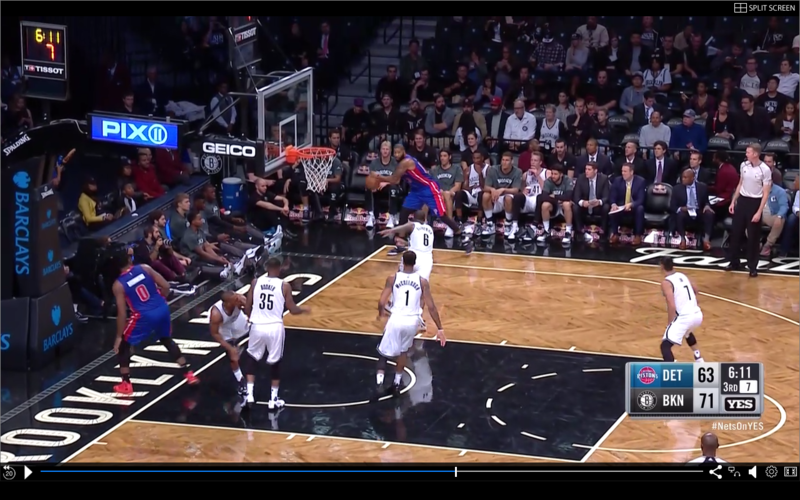 He is posting up too much, and that is some combination of his and SVG's fault. On one hand, it would not be a new thing to have a big guy star demanding more touches than he really deserves, but on the other hand, SVG wants Andre to get touches and has been spoon feeding them to him the last couple of years so that he can learn. And with Reggie Jackson missing the first month of the season this year, the Pistons need offense from anywhere they can find it. This article from a couple of years ago from Zach Lowe talks about how Andre's game is under construction, and Drummond has made good progress in that time, the problem is that he started waaaaay back, so it will take more time. Whether he ever becomes anything better than "at least we can give him some post up touches and it isn't a total disaster" will be seen. I'd bet on him becoming better because he has improved his game so much since entering the league, but we will have to see. One thing that I think would really help him would be to go towards the rim at every opportunity. When he shoots his jump hook he can almost end up fading away from the hoop, (which is bad form obviously) and almost always has his defender between him and the hoop, essentially eliminating any chance to get a rebound. When he puts the ball on the floor (which he can do) and goes at the hoop he has the threat of rebounding his miss to put it in which would make him much more dangerous out of the post I think. Yes. There are a couple of things that work against him here. First off, his free throws have killed any chance at a good true shooting percentage and overall efficiency the past couple of years, and the second (and bigger) thing is that his offensive rebounds are slightly inflated and his field goal percentage is slightly deflated. When Andre Drummond gets an offensive rebound these days, he almost never comes down with it, or taps it out. Team's go to almost comical ends to keep Andre off the glass and away from the rim on the pick and roll, resulting in his best chance for offensive rebounds usually being just out jumping everyone and tipping it at the rim. 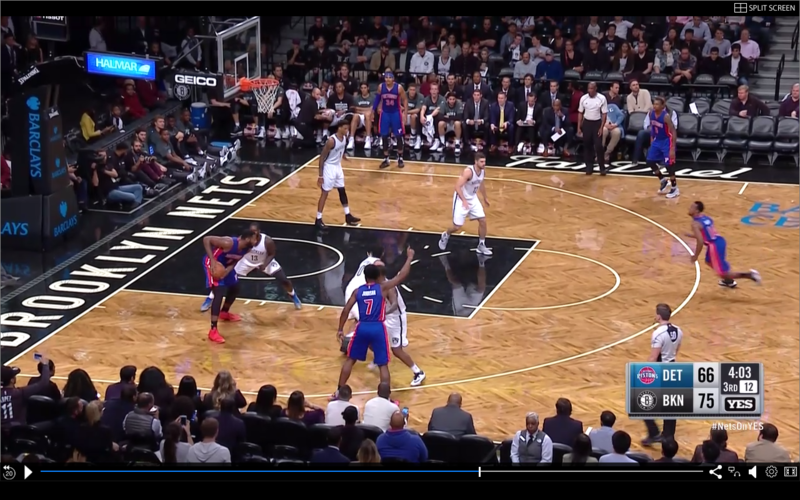 Andre does not always get credit for a offensive rebound on these plays because it is not always clear who tipped it, but when it goes and hits the rim he will get credit for a field goal. (And to be clear, he usually gets credit for an offensive rebound. Hence why they are slightly inflated.) If I could send you back to this post from last year, (sent to the post so OP can get credit for it) and go to unassisted FGs, and Drummond is waaaay ahead of everyone. That is offensive rebounds. The points Andre creates there may not end up efficient on the stat sheet because it takes several tries to get them in often, but they are literally extra points for the Pistons and he gets a ton of them. Another reason that Andre's offensive metrics are so bad is because stats don't really measure Andre's greatest offensive asset, which is drawing in defender to the paint in the pick and roll. When Andre rolls to the rim and draws in extra defenders to get KCP an open 3, Andre never touches the ball and whoever is point guard gets an assist while KCP gets a 3 pointer made, but Andre is still the one creating the space and the play. Exhibit A. is from a game last year against the Warriors (that the Pistons won), the point guard there is Steve Blake in case you didn't know. And I think we can all agree on this, the Warriors have not collaspsed 4 guys onto 2, leaving two wide open shooters, (one of whom is Ersan Ilyasova, a very good shooter) out of fear of a 80 year old Steve Blake's ability to finish in the lane. That is Andre Drummond, and that is the power of Andre Drummond. There is a reason why the Pistons offensive down the stretch of games last year became "Reggie plz score" when SVG pulled Andre. Because that is all they really could do. Also, the previous post suggested that Andre's net rating doesn't mean anything because he hardly plays without the starters, but that is true of all the Pistons starters. SVG plays his starters a ton and plays them together a ton, the Pistons starters were some of the heaviest usage lineups in the NBA last year (won't show up because they traded Ersan for Tobias at the break) and they are the 2nd heaviest usage unit in the NBA so far this year. So I mean, yeah, their net rating isn't a good indicator of any individual player either way. But once again, go back and look at that Steve Blake picture and tell me again how Andre needs Reggie Jackson on the floor to create for him. (Not to knock of Reggie of course, he is wonderful and very underrated.) To say that Andre needs Reggie or KCP on the floor to create for him is totally untrue, and if you actually freaking look at the lineup data from last year, it suggests the opposite. Last year, 2 of the Pistons 5 best lineups that played at least 30 minutes were featuring freaking Steve Blake at point guard and Andre at center. And if you look at 2 man lineups, When either KCP or Reggie Jackson played with Aron Baynes last year (Baynes was Drummond's backup all year.) are miserable net ratings. Whereas Drummond and Blake together were plus 2.7, and Drummond with KCP is +3.8, and with Reggie is +2.6. There is a lot of noise in lineup numbers, so they should be taken with at least a small grain of salt, but if you wanted some freaking numbers to show that Drummond is, by a fair margin, the Pistons best player, that is it. (Sorry if they are kind of hard to find in the tables, I don't know how to isolate just one, I tried to get them towards the top.) And even if you think Reggie may be the Pistons best player (once again, I disagree quite strongly) to say that Andre needs KCP or Reggie on the floor to create for him could not be more wrong. Andre Drummond is Ed Sheeran. Here I am truly sorry I don't have a bunch of pictures for you, because Andre turned in a absolutely brilliant defensive performance against the Celtics a couple of nights ago and I wanted to do a post on that anyways. But alas, one man only has so much power against League Pass support. HOWEVA, I do show some of Andre's excellent defensive abilities in a post from last year's playoffs if you want picture evidence of what I'm about to say, you can look right here. So first off, how on earth do you come up with Andre being a poor defender when he was literally 2nd in the NBA in defensive win shares last year, and 6th in defensive rating. While I'm the first person to tell you that you should not put too much faith in any advanced defensive metric, because defense is way more than just the stats you put up, but it is worth something. Last year Andre was in a new defensive scheme. 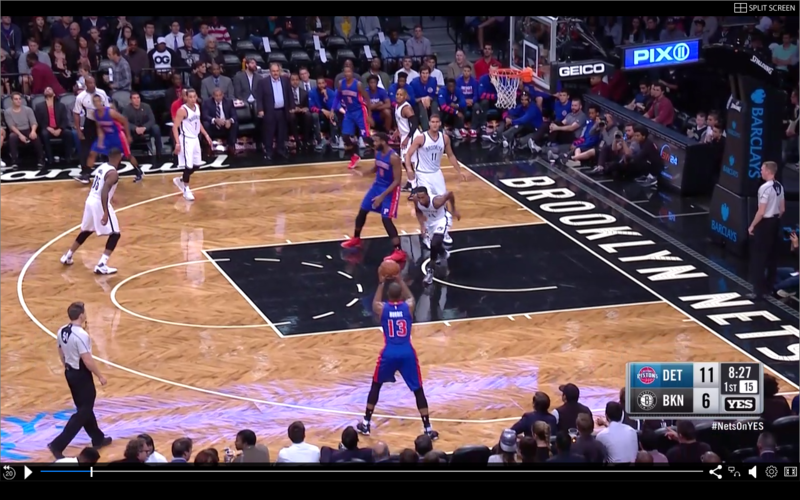 SVG is having the Pistons play a super conservative scheme in order to encourage midrange jumpers and try and stop 3s and shots at the hoop. They have their bigs sag way back, and their perimeter guys fight through screens. This is a fairly common strategy in todays NBA. There were two problems with this last year. First off, Andre was 22, learning a new defensive strategy which requires a lot of nuisance in being in the right position to come out far enough to at least show to ball handlers, without coming out too far. Playing defense as a big is right behind playing point guard on offense as things that are hard to learn quickly in the NBA. Andre was regularly not in the right position, and as such he either was too far back and let opponents get easy floaters, or he came too far out and allowed layups. 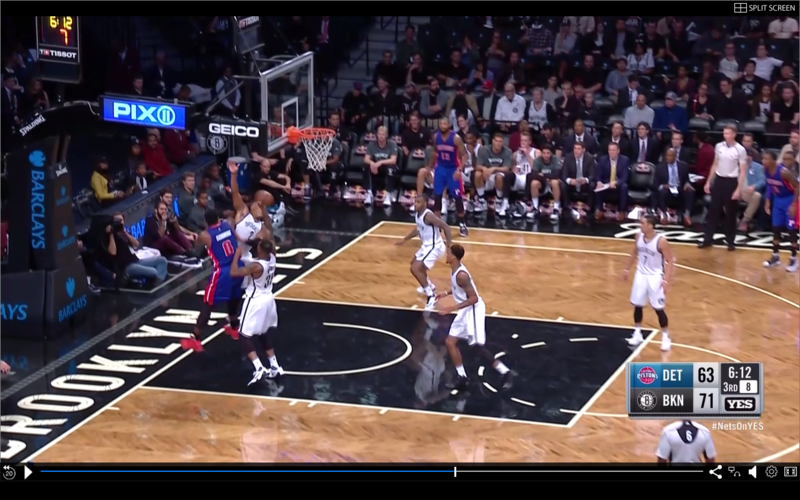 The second thing is that the Pistons defense was very leaky on the outside. KCP is a brilliant on ball defender, but he still often struggles to navigate screens correctly (which is fine, that is another thing that just takes time to learn.) and other than him, the Pistons didn't/don't have a lot of defensive fire power on the team. Morris is smart but limited, Stanley Johnson was 19, and everyone else was just generally bad. As for this year, I'll check in at about the all star break and see what the numbers look like. 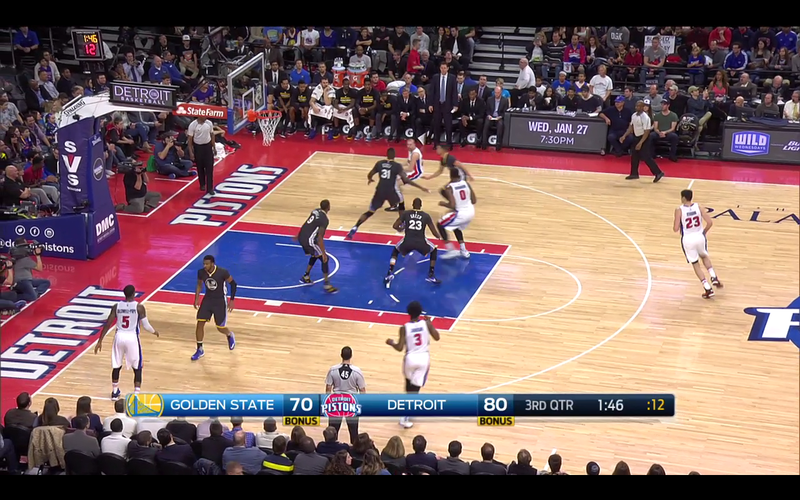 Lastly, it doesn't help that Andre cleaning the glass is huge for the Pistons defensive integrity. As I mentioned earlier, the Pistons don't have much rebounding beyond him. Just ask a Pistons fan about how often Andre will go to contest a layup well only to have it be put in by a offensive rebounder. 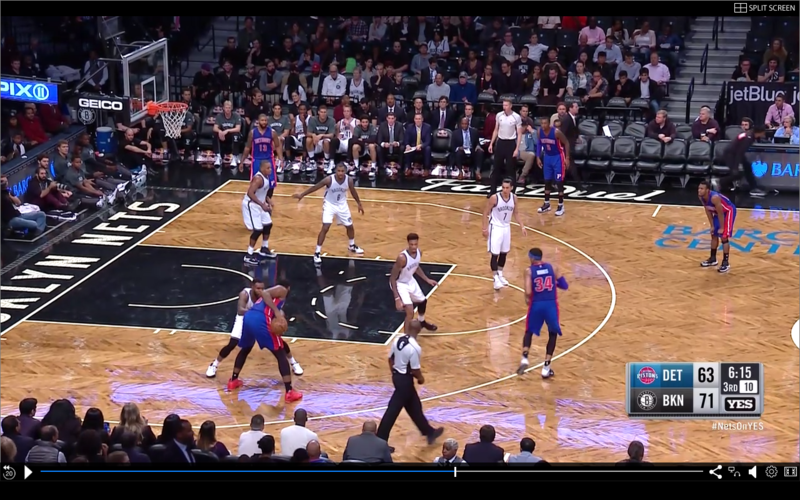 Essentially, SVG is giving Andre a very demanding defensive job. He wants Andre to totally control the paint, with both rim protection and rebounding, because the Pistons have no rim protection or rebounding on their roster beyond him. He has struggled a bit with it because that is what happens when you heap stuff on a young player, but I have faith he will come out in good shape. HOWEVA, it should be noted, that if by the end of this year, he is still having all the same troubles as last year then it would be worrisome. He's at 48% this year, improving, just like every other part of his game. Obviously there is nothing else to say about it though, there is no breakdown I can provide. He needs to improve it and at least get to 50%, otherwise it will be a blight on him that holds him back. But he is absolutely putting in the work. Wow so you think Drummond is the perfect player huh? No. I hope no one comes away with that feeling. Andre has plenty of problems, just like any player does. Some of his defensive issues are not just "learning the scheme." He jumps for blocks that he has no chance at, he reaches too much, (although even Zach Lowe admitted that it is hard to complain about his reaching when it reaps so many steals) and occasionally will just straight up lose focus. Offensively his post game is still a huge question mark as to whether it will ever be worth anything beyond just getting him a few touches, he needs to get rid of his tunnel vision, and needs to hit free throws. This is pretty overblown. Andre Drummond played the most minutes of any center last year, covered as much ground in those minutes as almost any other big, and did it at a good speed as well. He has a tendency to show his feelings with shrugs and other such things, but I don't care if he hangs his head if he is running hard the other way while doing it, which he almost always does. Another news flash, stars don't play hard every play, and big men are especially notorious for such things. Andre is not Tim Duncan, but if you want real attitude issues there are plenty off good guys to point to, Andre is not one of them. Dude spends his whole summer at a special training facility in California, used VR to practice his free throws even though he hated the idea but trusted his coach, invited Stanley Johnson to live with him after Stanley's Mom died. (and Stanley singled out Andre in his piece in the players tribune as a guy who was a hugely positive influence for him.) And also, SVG is not exactly candid about such things. There was a game where SVG benched Andre, and after the game he just said "Andre didn't have any energy." If Andre had a real attitude issue, SVG wouldn't put up with it. So is he really Elite? I mean, it depends on how you describe "elite" really. I think it is stupid to rank guys by number because basketball is far too complicated a sport for that really, and that is part of what makes basketball so much fun to me. But I would say Andre has an good argument with any center in the NBA, the only guy I'd put clearly over him is Boogie. That is not to say I think he is the 2nd best center in basketball, it just means you can make an argument for him. If you can make a real argument for it, then I think that counts as being elite for sure. Does that mean he is good enough to be the best player on a champion? I mean, probably not, there are not many who are that good. That is a discussion that is worth having, just like it probably is with any guy who hasn't won a chip. Just don't question anymore whether or not he is worth being hailed as one of the best centers in basketball, because he is somewhere in that discussion, exactly where he falls is the discussion that is wroth having and is even fun to have.